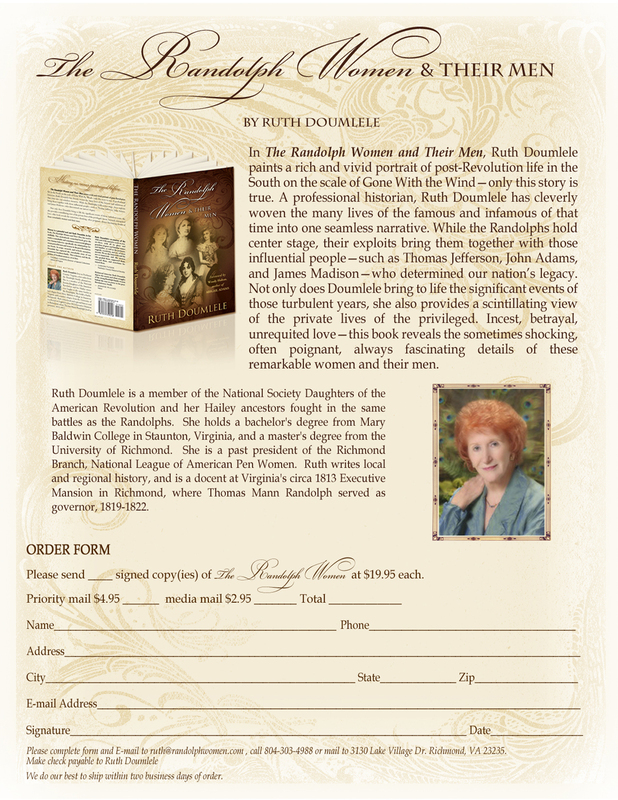 Ruth Doumlele is a member of the National Society Daughters of the American Revolution and her Hailey ancestors fought in the same battles as the Randolphs. She holds a bachelor's degree from Mary Baldwin College in Staunton, Virginia, and a master's degree from the University of Richmond. She is a past-president of the Richmond Branch,National League of American Pen Women. Ruth writes local and regional history, and is a docent at Virginia's circa 1813 Executive Mansion in Richmond, where Thomas Mann Randolph served as governor, 1819-1822.